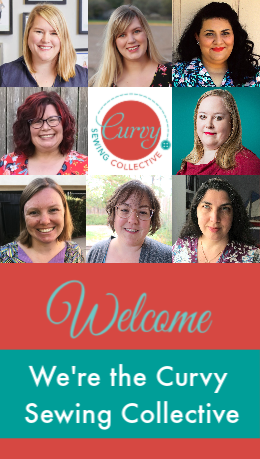 Welcome to the Curvy Sewing Collective page of Frequently Asked Questions (FAQs). Here, we try to answer the questions that generally come up the most often among our readers. Q: How did you decide on your name? Why not “Plus Size Sewing Collective”? A: We put a considerable amount of time and thought into our name. You can read a bit more about that and why we chose the name that we did in How We Talk About Size. Q: I’d like to advertise my fabric store/pattern line/classes or service on your website. Can I do that? A: The Curvy Sewing Collective does not accept advertising, including guest posts which simply promote the contributor’s business. If you have a relevant tutorial or interesting content that is related to your business, you can write a guest post for us, and you may add 1-2 lines mentioning your business in the conclusion of your post and/or in your contributor bio. See the Contributor Guidelines page for more details. Q: I’d like to write an article for the CSC. How can I contribute? 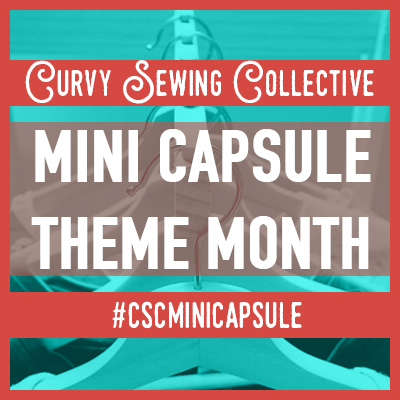 A: Read through the Contributor Guidelines page, and then email us with your idea at curvysewingcollective@gmail.com. Q: Do I need to write my entire post before I contact you? A: No. You can contact us before you do any writing. We can help you hone your idea, if necessary, and then we’ll typically ask you to contact us again when your draft is finished, at which point we’ll work with you to edit and schedule your post to run on the site. Q: I’d like to review a pattern for the CSC. What are your requirements for pattern reviews? A: We offer both guidelines and a review template for prospective pattern reviewers. You can find these on the Contributor Guidelines page and on the Pattern Review Template page. Q: I have a pattern line that includes plus sizes. Can I review one of my own patterns? A: You may not review your own patterns, but you can make your patterns available for review by a member or reader of the CSC. Q: How do you select pattern reviews? A: Our pattern reviews are a mixture of posts written by both our CSC Editors and our readers. 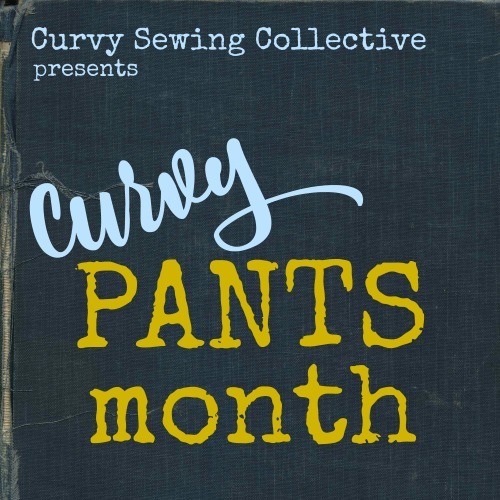 If you’ve written a pattern that has particularly excited you, frustrated you, or that you just want to share with our curvy readers, contact us at curvysewingcollective@gmail.com. Q: It seems like most of most your pattern reviews are for expensive indie patterns. Why don’t you feature more Big 4 (Simplicity, Butterick, Vogue, McCall’s) patterns that I can pick up cheaply on sale at my local JoAnn’s or Hancock? A: First of all, unless you live in the United States and have access to the super cheap pattern sales at JoAnn’s or Hancock, patterns by the Big 4 companies really aren’t any less expensive than many indie patterns. Second, we do actually feature quite a few Big 4 pattern reviews. If you look at the list of pattern reviews written by our editors, you’ll see that we sew and review a mix of Big 4 and indie patterns. Now, it’s true that our reviews by guest contributors skew a bit towards the indie side of things, but that’s a reflection of what our contributors are choosing to sew and review. If you’re interested in posting a review of a Big 4 pattern, we’d be happy to post it. Q: Why don’t you feature more negative pattern reviews? Most of the reviews that I’ve read are glowing lovefests. A: We’d love to run a more even balance of positive and negative reviews; however, most of the reviews that our contributors offer to write tend to be positive. This could be because people tend to be more excited about and want to share projects that went well for them or because they’re hesitant to post something that didn’t work out for them to a wide audience, which is understandable. If you had a negative experience with a pattern and would like to post an objective review about it, contact us. Q: How come so many reviews involve grading up patterns? Can’t you review more plus sized patterns, since a fair number of your readers are plus sized? A: The reviews that we publish are somewhat of a reflection of the patterns currently available for plus sizes. You’ll find that for many of our reviews, the reviewer only graded up 1-2 sizes, which is to be expected when an increasing number of patterns have a decent size range but stop just short of true plus sizes. On the other hand, if you’re a fan of a plus size pattern line, such as Coni Crawford’s or Petite Plus, that you feel is underrepresented on this site, we’d welcome reviews from you on these patterns. Q: I have large arms. How can I adjust my sleeve pattern pieces for this? A: We published a tutorial a while back that shows the slash-and-spread alteration for large arms: Tutorial: Making your sleeves fit. Q: I made a muslin of a pattern and need help figuring out what pattern adjustments I should make. Can you help me? A: The best place to go for fitting help would be to start a thread in our community forums. If you can include links to photos of your muslin, that would be very helpful for members to diagnose any fit problems that you might have. Q: I made a top pattern recently, and I chose my pattern size by my bust measurement; however it turned out to be huge in the neck and shoulders. How do I fix this? A: You might need to start with a smaller size and make a Full Bust Adjustment (FBA), especially if your full bust measurement is more than 2″ larger than your high bust measurement. See The Beginner’s Guide: Full Bust Adjustment. Q: I think I’m going to need a ton of alterations to the pattern that I’m working on. How do I know which alterations to make first? A: The rule of thumb for pattern alterations is to start from the place that the garment hangs. For dresses or tops, this means starting at the shoulders. For pants and skirts, this means starting at the waist. If you need alterations to both the back and front of a pattern, go from back to front. For example, if you’re making a fitted blouse and think that you might need a sloping shoulder adjustment, full bust adjustment (FBA), and a sway back adjustment, you would do your alterations in that order (shoulder, bust, then sway back). It might be a good idea to do one of your muslins either after the shoulder adjustment (to make sure that you’ve fixed the shoulders) or after your FBA to see how things fit before doing your sway back adjustment. Q: What pattern companies’ size ranges include plus sizes? A: See our Pattern Company Directory for a list of pattern companies and their size ranges. Q: I have a DD bust, and I hate doing FBAs. Are there any pattern companies that draft for a larger bust? A: See our Cup Size Reference to see which cup sizes different pattern companies draft for. Q: My waist is two sizes smaller than my hips. Can you recommend any patterns that might actually fit me? A: Take a look at Sewaholic patterns, which are drafted for a pear-shaped figure. Q: I’m short (5’1″) AND plus sized. Are there any patterns that will fit me without a ton of adjustments? A: Petite plus patterns are drafted for your figure type. Also take a look at SBCC patterns, which are drafted for petite women but include plus sizes that are drafted from their own block.